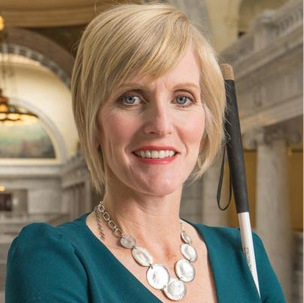 Kristen Cox is the Executive Director of the Utah Governor’s Office of Management and Budget. Appointed to the position by Gov. Herbert in 2012, she has worked diligently to integrate operational excellence with the state’s management and budgeting practices. Under Cox’s leadership, Utah improved government performance by more than 27 percent from 2012 to January 2017, exceeding the 25 percent goal set by the Governor. Prior to her time at GOMB, Cox served as the executive director of the Department of Workforce Services (DWS). Cox led the DWS effort to save taxpayers nearly $30 million dollars while simultaneously improving quality for customers. This occurred during a time of significant caseload growth due to the 2008 economic recession. 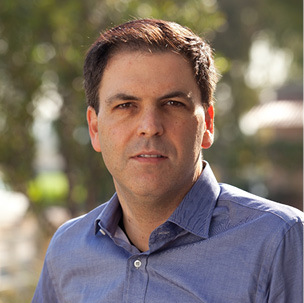 In December 2016, Cox was selected as one of Governing Magazine’s public officials of the year. She has also been honored by the Utah Community Foundation as an Enlightened 50 (2016), Utah Business Magazine as one of the 30 Women to Watch (2012) and by Days of 47 with the Pioneers of Progress Award for Business and Enterprise (2012). Cox received her Bachelor of Science in Educational Psychology from Brigham Young University. She served an LDS mission in Brazil and treasures any opportunity to speak Portuguese. Cox is an avid reader and loves being active. She and her husband, Randy, have two sons. They love the outdoors and Cox’s greatest outdoor adventures have been skydiving, paragliding, skiing and hiking the Grand Canyon rim to rim. At the age of 11, Cox began to lose her vision due to a rare genetic eye disorder. All of Cox’s proceeds from “Stop Decorating the Fish” will benefit the National Federation of the Blind*, an organization Cox has previously served in numerous roles.